COMING SOON – Screen Gems has officially set a release date for director Burr Steers’ adaptation of Seth Grahame-Smith’s Pride and Prejudice and Zombies. The Jane Austen reimagining will hit the big screen on February 19, 2016! The studio has also set a September 16, 2016 release for director Jon Cassar’s thriller When the Bow Breaks. New Line Cinema, meanwhile, has shifted the upcoming Vacation reboot/sequel from an October release to this July 31st. Pride and Prejudice and Zombies, starring Lily James (Cinderella, “Downton Abbey”) as Elizabeth, Bella Heathcote (Dark Shadows, The Rewrite) as Jane, Ellie Bamber (A Mother’s Son, The Falling) as Lydia, Millie Brady (“Mr. Selfridge”) as Mary and Suki Waterhouse (Love, Rosie, The Divergent Series: Insurgent), offers an “expanded” version of the Austen classic. The book tells the timeless story of a woman’s quest for love and independence amid the outbreak of a deadly virus that turns the undead into vicious killers. Pride and Prejudice and Zombies also stars Sam Riley (Maleficent, On the Road) as Mr. Darcy, Jack Huston (“Boardwalk Empire,” Kill Your Darlings) as Wickham and Matt Smith (“Doctor Who,” Lost River) as Mr. Collins. When the Bow Breaks, meanwhile, stars Morris Chestnut (The Best Man, The Call) and Regina Hall (About Last Night, Think Like a Man) as John and Laura Taylor, a young, professional couple who desperately want a baby. After exhausting all other options, they finally hire Anna (Jaz Sinclair), the perfect woman to be their surrogate – but as she gets further along in her pregnancy, so too does her psychotic and dangerous fixation on the husband. The couple becomes caught up in Anna’s deadly game and must fight to regain control of their future before it’s too late. Vacation, finally, stars Ed Helms (“The Office,” The Hangover) and Christina Applegate (Anchorman, The Book of Life). Following in his father’s footsteps and hoping for some much-needed family bonding, a grown-up Rusty Griswold (Helms) surprises his wife, Debbie (Applegate), and their two sons with a cross-country trip back to America’s “favorite family fun park,” Walley World. The film is will also include appearances from the original’s Chevy Chase and Beverly D’Angelo. Both Pride and Prejudice and Zombies and When the Bow Breaks are the first major releases to claim their respective dates. Vacation, meanwhile, will go up against Southpaw, The Gift, The End of the Tour and Mission: Impossible Rogue Nation. “There was this section of the film where it rains and I get wet and so I spent days on end just being hosed down. It was winter and I just got really sick,” she explains. It wasn’t all bad, though. Her illness “added to this delirium” and the magic of the moment, she says. And there was no way his leading lady was going to miss out, ill or not. “She came in, nose-streaming, but nobody else was getting into that dress!” he said. 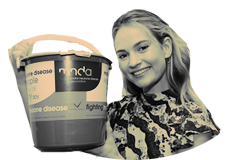 EXPRESS – Lily James is waiting for the clock to strike midnight. The actress hit her to best known as Lady Rose in Downton Abbey can’t believe her luck after landing the lead in Disney’s Cinderella. 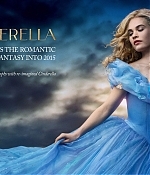 Directed by Sir Kenneth Branagh and co-starring Cate Blanchett as the Wicked Stepmother and Helena Bonham Carter as the Fairy Godmother the film opened to a huge £47million of box office receipts in America. It is a life-changing moment for James, who pipped the likes of Alicia Vikander and Wolf Of Wall Street’s Margot Robbie for the role: “My life definitely has a fairytale quality to it at the moment,” she agrees, as we chat in a London hotel. 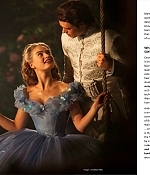 There is an innocent enthusiasm and unaffected excitement about James which made her ideal casting in what is a charming, traditional take on the classic fairytale: no post-modern irony or knowing jokes, just a straightforward story of love and sunny optimism conquering all. Lily is featured in Teen Vogue and Glamour Spain (April). Make sure to check the scans in our gallery! 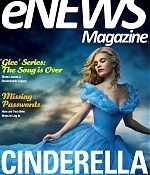 Cinderella/Lily graces the cover of eNews (March 27) magazine. Scans have been now added to the gallery!